UPDATE: If you had any interaction with The Lost Ring (including just watching some of the fun videos!) please take this short survey, which is designed to help figure out how to make awesome ARGs in the future working with big companies who want to invest in the future of the genre. THANK YOU! After 10 days in Beijing, and six months of live game play, and more than a year of game design and development, I am exhausted and thrilled. WE FOUND THE LOST RING! This week, the lost ring community ran the lost sport championships! Salvador, Tokyo, Wellington, San Francisco, London and Beijing earned the right to compete in the finals. Two-time gold medalist Edwin Moses coached us all week long and came with us to the Great Wall for the championship event. You can watch the six-city race play out simultaneously in six different time zones in this amazing Lost Sport World Championship video directed and produced by Kiyash. Close-ups of our Beijing races are here and here. The Lost Ring was all about giving gamers worldwide the opportunity experience the best of the Olympics firsthand, instead of experiencing them vicariously. There were two main parts to this mission. First, the global hunt for the Lost Ring Codex and the Sixth Ring, which we hoped would bring players worldwide together, give them a spirit of global collaboration and unity, and give them a chance to make friends from many different countries, just like the athletes in the Olympic Village. Second, the revival of the Lost Sport of Olympia, which gave players the chance to train for real and compete with a team at a world-class level in an alternate reality Olympic sport. From where I stand, looking at what the players accomplished, I know that we achieved our goal of creating a new kind of game in the Olympic spirit that the world came together to play. Thank you to all of the players worldwide. We had live game missions and events in more than 50 countries on every continent except Antarctica, and our top 5000 players came from over 100 different countries. In total, more than 2.5 million people watched the game play out online and learned new Olympic legends as our most active players discovered lost secrets of the Olympic Games and revived the traditions of the Lost Ring codex. A special thanks to the game communities on Unfiction, Orkut, MSN Live, and Mixi for leading the world in this game. And a hero's ovation to everyone who worked on the Lost Ring wiki, which made the game easy for new players to follow (and easier for us to keep making!). As the game ends, I'll say this: No one is luckier than the people who make ARGs and other reality-based games, because we get to play with some of the smartest and most interesting and most creative people in the world. We get to spend time with them online and in the real world, and we get to create with them and learn from them. Making an ARG feels like a team sport, and the creators and the players are on the same team. With the Lost Ring in particular, I really do feel like the Olympic athletes who get to make lifelong friends in the Olympic village. I feel like I have (I hope) made friends around the world and consider all of the star Lost Ring players potential allies for life! So... since you never really know when or if an ARG is over until the game masters tell you, I wanted to put up this post as an official goodbye (until 2012, fingers crossed) and share some of the behind the scenes secrets of the game. Full credits for The Lost Ring will appear soon somewhere on one of the game sites. In the meantime, I wanted to share a little information about the amazing team that put this project together, because it's been so hard not to talk about the incredibly talented people who made this game. As you already know, this project was conceived by digital creative agency AKQA - San Francisco, with McDonald's, as a celebration and extension of their historic sponsorship of the Olympic Games. The game was produced in collaboration with the International Olympic Committee, and once the plan to make an Olympics-themed ARG was in place, I was lucky enough to be invited on board as the game's director. This ARG was unlike previous commercial ARGs in that our characters were played almost exclusively by our own puppet masters. So almost 100% of the time, whenever a character emailed or texted or chatted with a player, or whenever they blogged or twittered, it was really the same person you saw in the videos and photos. We did this for several reasons. One, to dramatically expand the creative team, so that more people could contribute to the storytelling and interaction design and create a much faster, more fluid ARG. We didn't have to teach actors what to say or write scripts or train the characters for live events-- the puppet masters did it all themselves. Two, we wanted to be able to run the game simultaneously in multiple languages. All of our PMs were multi-lingual, allowing us to quickly create and distribute our game continent in 8 languages simultaneously. Look for them on Facebook and friend them! They are all amazing people in real life and they literally created their characters and drove the game in their languages. They are creative forces to be reckoned with, and I love all of them and am so grateful to have worked with them. Also, in case you were wondering, Edwin Moses really DID watch all of your lost sport training videos and really DID coach all of us. If you ever get the chance to meet him, and you mention the lost sport, you will have lots to talk about! And of course, Ariadne: played by the fabulous Natalie Jade Foster, who you will no doubt see in many films and television shows over the next few years, was amazing to work with. Although she wasn't playing her character in email, chat and blogs, she has been making her videos live throughout the game based on what the players have done -- everything was shot in real time and posted on the same day the players saw it. So she followed the game and watched the players and learned the legends thoroughly so that she could interact at live events and lead the characters in our Beijing missions. Really awesome to have Natalie on board for this role. Finally, one puppet master/character deserves special recognition -- that's "James Mutters" in the game, or in real life James Tinsley (look him up on Facebook and friend him if you played The Lost Ring!) He started out on The Lost Ring as a producer at AKQA, working primarily on one of the toughest producer missions: he has to find and coordinate all the great artifact hiding locations in 27 cities on 5 continents. He did an amazing job, and eventually we wrote him into the game in April because 1) he knew so much about the game and 2) we needed someone at the first San Francisco lost sport training event to represent The Opposition. James has a BFA in theater, and so he took the reigns of his character and rode it further than any of us thought possible, turning James and Theo into some of the most interesting characters in the whole game, and creating some of the most unforgettable game moments. I knew James was born to puppet master when he agreed to let us duct tape hin on the roof of the AKQA building and opened himself up to an hour-long no-holds-barred interrogation from some of the best ARG players in the world. I hope to see James Tinseley running many ARGs in the future. Also, names you will see in the credits later but who deserve recognition right away: a few of the key people at AKQA who drove this project and who will make many brilliant immersive experiences in the future are Julie Channing and Edwin Veelo, who worked on this project for 18 months and are here in Beijing to bring the game to a successful conclusion -- remember their names! Also, check out the fabulous work of PJ Periera, Gary Theut, and Toria Emery, who also had a HUGE hand in conceiving and developing this project early on at AKQA. And also at AKQA, Nancy Cardillo and Steve Sherwood and Jason Welch drove key parts of the experience: the trailers, the web development, and project management. These are all brilliant people, if you have the chance to hear them talk or work with them, do it! We were also lucky to be able to tap the creative genius of David Moles and Benjamin Rosenbaum, award-winning fantasy/science fiction writers based in Switzerland, who worked very closely with us in the summer of 2007 to develop the key world-building details of athletic synchronisation and multiverse Olympics. Those early concept/story meetings produced some of the strangest ideas I've ever heard in my life. Someday, ask me about ghost multiverse photography and Ariadne's dead twin sister who didn't make it into the game. For me personally, this project was the biggest creative challenge of my life. I wrote more and designed more than on any project before. running the weekly Sunday conference calls with our global puppet masters so everyone could give updates on their game communities and plan our next plot twists and game missions. The Lost Ring was world-building project. We wanted to create an immersive legend that players could share and that could collectively change the way they thought about and experienced the Olympics for the rest of their lives. To do this, we emphasized the legend and the world-building content, such as the podcasts and the codex, and created missions to turn the legend into real-life action. The rhythm of this ARG was different from most previous ARGs. Typically, ARGs have a set series of missions and puzzles that must be completed and solved in order to advance the game. In The Lost Ring, we had only a few of these. The players had to find all of the characters in the different countries at the start in order to really launch the game; the players had to find all 27 artifacts of the Lost Rig Codex in order to understand the invented Olympic legends; the players had to re-create and play the lost sport in order to bring the central element of the game to life; the players had to complete 27 city-scale labyrinths; and ideally, the players would perform a massive syncrhonised action (such as a lost sport championship) on August 24. Beyond that, we just wanted players to LIVE in this alternate reality and create their own journeys. So we invented legends with almost infinitely extensible elements and supported players who spun out sub-plots and new theories. (The philosophy of The Opposition, for instance, was heavily influenced by player discussions of the mechanics and moral dilemmas of the multiverse.) We created characters who could be interacted with however deeply players wanted -- Larissa, Diego, and Monica were really engaged by players online and in the real world, along storylines the players helped invent, in a way that took ARGing to a new roleplaying level. All of the missions our characters performed in Beijing -- from Ariadne's dance of the 11 circuit labyrinth to the Couberteam desynchronising mission to bringing back the Bacon cipher and using the team San Francisco patented labyrinth drawing method -- all of these events were directed by the players. Beijing was really our turn to play the game YOU designed. And we loved doing it. And like the best videogames, The Lost Ring had missions and puzzles that developed key themes of the game -- and we made them available to players -- but they weren't necessary to advance the game. We wanted players to be able to play more with the themes they loved and the characters they were most curious about. But we weren't going to push them along a track toward a single pre-determined outcome. This is a game about the multiverse, after all! We were perfectly willing, for example, to keep some of the characters in this world and force the players to choose who to send home if they didn't get the omph strength high enough to send everyone. And in a parallel world, but not this one, I imagine that players proved a scientific theory of the multiverse layout using the Pancosmologizer (one of my favorite mysteries of the game). And perhaps they learned more about the life and adventures of the original six travelers by studying the locations of the hidden artifacts and Monica's uncle's clues. Of course, these mysteries remain solvable and new player fictions remain creatable even though the live game is over; these legends can be explored long after the game ends and there is enough information about The Lost World out there to tell many more stories and explain many more mysteries. And now, I will find myself with a tremendous cognitive surplus -- what on earth will I think about while running, in the shower, on the train, at the dog park, falling asleep at night, when my brain isn't full of thoughts of what The Lost Ring players are doing and how the puppet masters are developing their stories and what Olympic secrets we reveal next? See you in Beijing, everyone! warning: this post contains geek-related TMI! 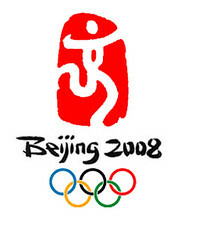 3:30 AM this Saturday, Kiyash and I are off to Beijing for the second half of the Summer 2008 Olympics, where we’ll be overseeing a week of The Lost Ring game production all over the city, including in public parks, on the Olympic Green, and some surprise Olympic venues. I’ll post from Beijing on this blog as often as possible, or at least on Twitter, to share stories from trying to run an alternate reality game on the ground at the Olympics! My first Olympic gaming experience came in 1988. That was the summer we got our first home computer – it was a Commodore 64, and I was 10 years old. I spent A LOT of time playing games on it. We had bought the computer used, and it came with three games that delighted me to no end: Castle Wolfenstein (the original! which always scared the bejeezus out of me when I played it, all those soldiers shouting “atchung!! !” and having to picking loot off of dead bodies!!) , Lode Runner (the game I was most devoted to, and which I would dream about at night and often solve puzzles of in my sleep), and most importantly: Summer Games (in which you could toggle your joystick frenetically to compete in events like pole vaulting, gymnastics vaulting, swimming, and running around a track). During the real Olympic games that 1988 summer, I held my own Summer Games for myself on my Commodore 64. I would start up the computer game and enter 8 players. They were all made up versions of myself from different countries – you could play with 8 at a time -- "Jane" from USA, “Juana” from Mexico, “Janelle” from France, “Jana” from the Netherlands (I don’t know why I thought that was a Dutch name), “Enaja” from Australia (Jane backwards, plus an extra “a” because it sounded prettier, ha ha thought my clever 10 year old self), etc. I would run every Summer Games event as all of my different Olympic Janes. The game was asynchronous multiplayer, rather than synchronous multiplayer, so I could try to do equal justice to each avatar. I would keep track of medals in my pastel pink Cool Shades notebook, and then after all the avatars ran every event, I would see which country had won the most. I was extremely methodical about this. And this would take pretty much an entire day. And THEN I would start over, and run the “simulated Jane Olympics” again, doing exactly the same thing with 8 more international Janes and see how THAT medal count went. And on and on and on. The main difference was you would hear different midi-versions of the countries' anthems depending on who medaled. (To this day, this is why I recognize some national anthems.) I would occasionally call my twin sister, who was probably doing cooler things like learning the choreography to Janet Jackson videos, into the computer room to see the Awesome Results. Looking back, this story is a clear sign of the fact that I was BORN a big game geek. I have to say, though, in 1988, I SWEAR TO YOU this was seriously High Fun. And now I’m going to Beijing to synchronize real Olympic running and sweating on every continent for the grand finale. Lots of real running and real sweating all over the world, thanks to a computer game! Can I tell you how happy that makes me? Computer gaming + live sports = My Best Summer Ever. Thank you to everyone who has run and sweat and trained with me this summer. It has been amazing fun 4 real!